Holiday Print or Digital Display - bet you Can't Eat Just One! Take a look at the three Holiday ads below and the ABX Index scores beneath. All three knock it out of the park in ad effectiveness with an overall ABX Index of 21% to 34% above average (ABX 121-134). Since ads that score above average (ABX 100) optimize media buys, that is a good thing. Pizza Hut is #1 overall and look how the food just pops in the ad below. You can just taste it. 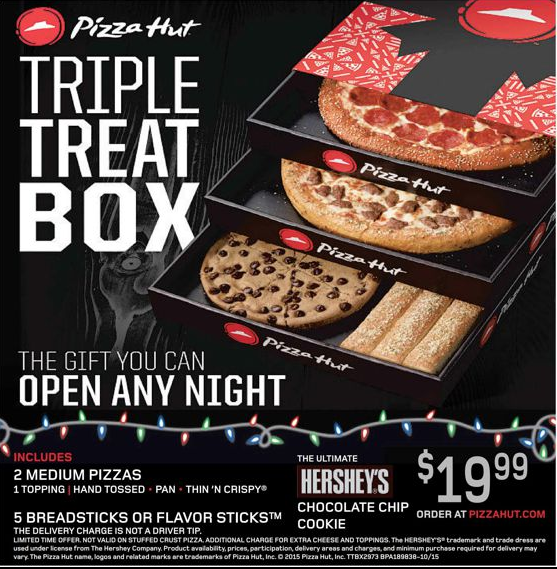 As a learning take-away, look at the Message scores on the ad above, and the two below, and you’ll see the audience “got it,” particularly with Pizza Hut at 44% above average (ABX 144). As mentioned above, the food shots are gorgeous in color, composition and clarity. Also, the message itself translates quickly (not counting the required fine print, of course). Short, sweet and visual - yielding high advertising effectiveness scores. The Hershey ad below also pops with color and visual "candy." Again, you can almost taste the chocolate (or, maybe that's just me!). More interesting, of course, are the Reputation scores that indicate a viewer felt better about the company after viewing the ad. These scores are off the chart for all three –though this time the highest is for Hershey at 64% above average! Most important, of course, is Action! What are consumers going to do about any of these ads? Highly effective advertising might spur them to contact the company, research the product on the website, tell a friend, purchase the product, etc. Of course, a great strength of print is adding coupons, which has a great impact on Action scores. When we see Action scores (which combine "all" intended actions) of ABX 128, 138 and 145, we know these ads were highly successful at pushing "real" results. 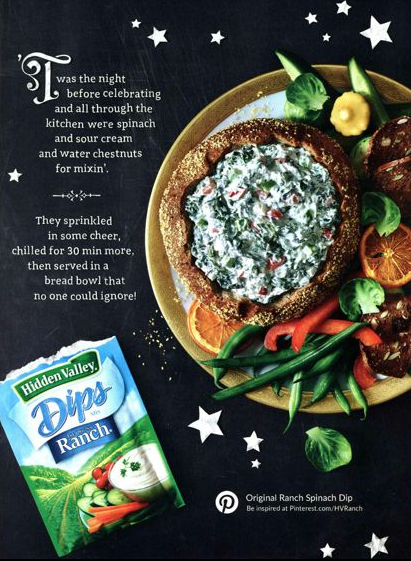 As with the others, Hidden Valley excelled here with what could have been a boring food shot by making it so real looking, your mouth waters. How would these ads have done in other media types, like TV or OOH? To see examples of good and bad creative in other media, go to our resources page, "Integrated Marketing in All Media." 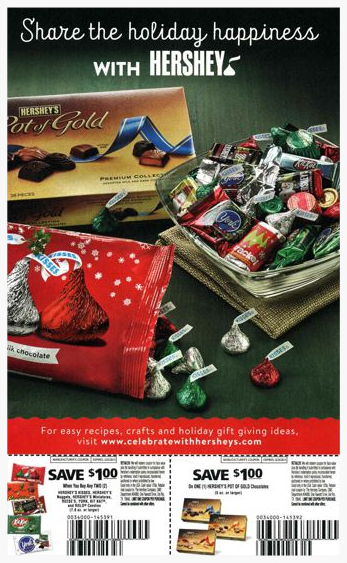 Congratulations to the great advertising teams at Pizza Hut, Hershey’s and Hidden Valley for showing us how print is done. Are you satisfied with your current creative effectiveness? Is it resonating through Awareness and Message, and having an impact on Reputation and Action? ABX provides the largest normative database in the industry across all media types. On average you can improve your creative effectiveness by 17%. Free eBook - "Four Key Performance Indicators to Decrease Advertising Investment Risk & Build ROI"
Written by ABX President Gary Getto, this new eBook shares insights gained from the world’s largest database of benchmarked ads. You will learn the characteristics of powerful ads and how they can better drive results.